I recently tasted a few styles of beer aged in oak. I loved the rich flavor the oak imparted into the beer. I also like bourbon. So I decided to brew an oaked bourbon cream stout for my next homebrew. Yesterday, I brewed the cream stout, which will be my base beer. After primary fermentation, I'll ferment for 10 days in secondary. Then I'll add my flavorings into the beer as I bottle. I'm considering using a coffee liqueur (instead of espresso) that I bought in Colombia 15 years ago. It tastes amazing and I think it would meld seamlessly into the stout. Jan 2: Brew day. I used my home made wort chiller and used it to cool the wort in just 16 minutes! OG 1.06. Wort is a very dark brown, almost black. Based on my calculations, this should be 6.8% ABV and 20 IBU. My last homebrew (a CDA) was a hoppy beer, so I think this will provide a nice change of pace. 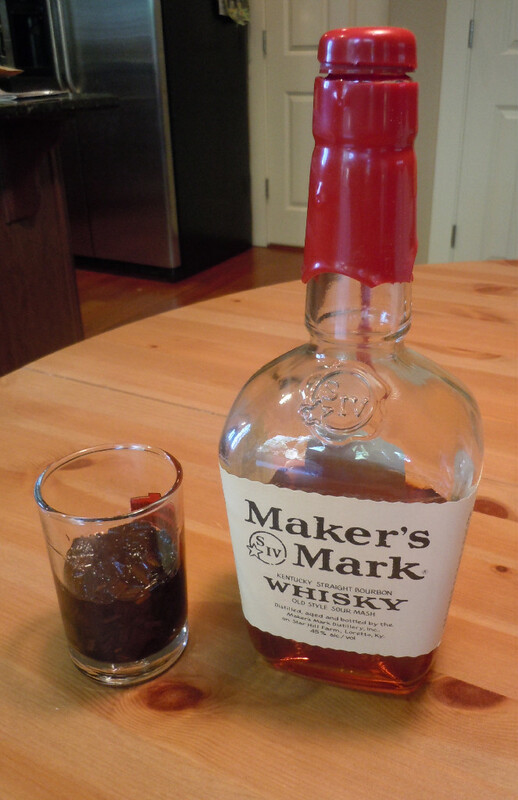 I also started to soak my Makers Mark Bourbon and vanilla extract in my chips. Jan 3: Airlock started bubbling. I like this part. Jan 4: Airlock bubbling like crazy. Jan 8: Transferred to carboy for secondary fermentation. Gravity is 1.02. I'll take a final reading when I bottle. The roasted malts flavors are coming through, along with coffee and vanilla. 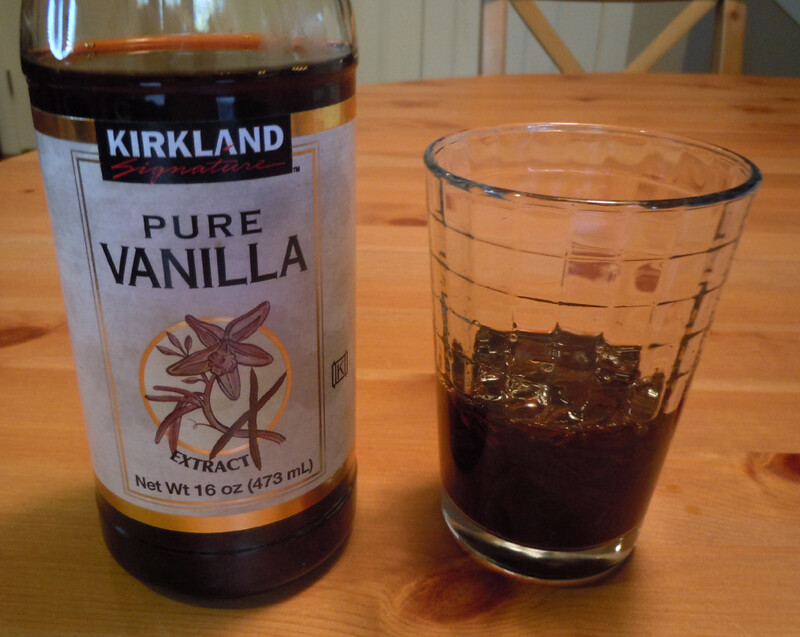 That's strange, I haven't even added the vanilla in yet. Jan 23: Bottling day. I bottled in thee batches to accommodate my three flavorings. I ended up using oaked vanilla extract, oaked Makers Mark, and a Colombian Coffee Liquer. The whole process took much longer than it usually does. FG = 1.022. I added between 1-3 tablespoons of each. Feb 2: First taste. I cracked open the bourbon version. I can definitely smell and taste the bourbon. I also taste coffee and vanilla even though I didn't add those flavorings to this batch. I expect those flavors are typical of the malts I used. I think it needs more time to carbonate and to further develop. I'll try it again in a week. Overall, the first taste is very promising! Feb 5: Tasted the oaked vanilla version. I over did it on the vanilla extract. It tastes extract-y. I was warned not to put in too much and tried to keep it light. I guess this is a mistake you have to experience to truly appreciate. Anyway, I expect it will taste better once it ages. I'll give this at least a few more weeks and try it again. Does anyone have experience using coffee, espresso, or liqueurs in beer? I'd appreciate any advice or recommendations. Thanks!